Amy founded The Research Masters LLC in 2010, and lead its growth from a small team of people, to a leader in developing curriculum and assessment for some of the biggest names in the educational marketplace. Since its beginning, Amy has transformed The Research Masters into a best-in-class organization that includes multiple teams that collectively are comprised of over one hundred leaders in the field of education, publishing and nursing. Through her leadership and vision, The Research Masters has delivered hundreds of print and online learning programs for some of the biggest names in the educational marketplace across a variety disciplines and audiences. As a 21-year educational publishing veteran, Amy believes in the need to respond to change by adjusting methods of development and delivery to meet the current educational climate. Lifelong.Media is the culmination of this belief and also reflects her passion that to teach, is to touch a life—forever. Kevin has over 30 years of experience in publishing, education, instructional design, and technology. As a leader in driving organizational change, he led initiatives that transformed the Brooklyn Public Library into a recognized leader in providing technology-based services to under-served communities, redefined the relationship between the New York Philharmonic and its subscribers and patrons, and improved high-needs and special-needs learning communities through research-based school-led projects. Kevin was involved in the development of some of the first Time, Inc. channels on America Online, and was the lead instructional designer for a recently-released national ELA curriculum program. His lifelong drive to constantly shift the paradigm, and his dedication to empowering others through education, were the catalysts for founding Lifelong.Media. Kevin is a driving force behind Lifelong.Media’s mission to replace fragmented teaching methods with visionary learning experiences that foster a true sense of community. Karen's publishing expertise encompasses management and editorial production spanning 25 years in both the non-profit and private sectors and medical publishing, specifically nursing and allied health. Karen has worked for major publishing houses in all phases of the production process from concept through final files. She is a first-rate developmental editor, working very well with authors to create, edit, organize and finalize manuscript. She is adept at overseeing manuscript development and production at every stage and has significant experience writing, editing and scrubbing test banks for allied health and nursing topics and in creating ancillary material to accompany main textbooks. Karen is a known expert problem-solver, excels within a team environment, and effectively synthesizes the needs of the team, and the customer to always meet expectations and deadlines. Kyra began her decade-long career in publishing writing curriculum for special needs adults, helping them develop lifelong skills critical for independent living. Her transition to the field of nursing and allied health originated with her leadership role in developing training materials and risk management protocols for healthcare organizations. Kyra has worked with a variety of medical and nursing publishers globally to write and edit academic and continuing education materials ranging from nursing textbooks, NCLEX test prep programs, nursing continuing education courses and interactive courseware. Kyra is a champion of guiding nurses and educators in developing learning resources written by practicing professionals. 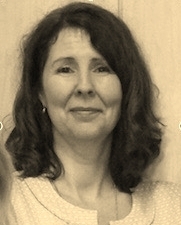 Lisa is a certified educator in K-6 curriculum with a diverse background in both print and online academic publishing. Lisa has authored several children's books, developed content for numerous educational series and digital learning projects spanning multiple genres for a wide variety of educational publishers. She is very proficient in aligning content to state and national standards, and possesses excellent skills in test bank development. Lisa is a strong team leader who strives to motivate and inspire confidence in her team members to ensure high level performance so as to consistently meet project expectations. Athena has over 11 years of print and digital publishing experience, working in various capacities on Elementary and Secondary programs in management, product development, editing, graphic design, and typesetting. Among her many credits is sharing in the conceptualization and development of kids.outdoors.org, an online resource for families seeking a guide to outdoor activities, as well as various projects for mobile applications that promote outdoor curiosity, skills, knowledge, and confidence-building. Athena has built a solid track-record of producing high quality products on schedule and within budget, with a wide range of technical skills that enable her to lead and manage teams with superior results. Seth is a film-maker and producer, who has a wealth of experience in creating engaging and original video content. His expertise ranges from conceptualizing to scripting, filming, directing and producing. Seth brings to film-making his background in education, having spent several years teaching elementary education in the Forsythe County school system in Winston Salem, NC. With a deep passion for education, and love of film, Seth is the visionary behind Lifelong.Media's video-learning libraries, designed to provide learners with multiple pathways to knowledge and understanding. John is a principal at Morris Law, LLC and is a specialist in tax and corporate law. He is a former tax associate of KPMG. John served as a legal intern to the U.S. House of Representatives' Committee on the Judiciary after working several years as a public-funding tax accountant. Maureen has over 16 years of expertise in bringing technological innovation to, and is a leader in, the fields of educational publishing, digital product development, and content management and distribution. She is currently Director of Software Development for Corporation Service Company. Maureen served as Director of Information Technology and Management for John Wiley and Sons as well as Vice President of U.S. Technology for The Financial Times. Michael has an extensive background in education, publishing and media, and brings a unique perspective on the development of cognitive learning tools. He is currently the Director of Content Development for Course Hero. His prior start-up experience includes leadership roles at Elevate Labs, MindSnacks, and Ascend Learning. Michael worked for over ten years at Encyclopedia Brittanica, advancing from editor, to Executive Editor, to Director of Product Content and Curriculum. Sunny is a educator and scientist with over 16 years of experience in the field of educational publishing. She is well-known for her expertise in the fields of the life sciences, physical sciences, medicine, and mathematics. She is currently the Development Editor for W. W. Norton & Company, and as Course Scientist for the American Museum of Natural History authored The Link Between Dinosaurs and Birds. As Math and Science Editor for Kaplan, Sunny managed the development of over 20 titles annually, including their MCAT, GRE, AP and SAT test series. Amy’s experience as a nurse and nurse educator extends far beyond classroom and clinical settings. Amy has extensive experience in educational publishing, having developed an online remediation program for undergraduate RN students as well as curriculum programs for multiple levels of nursing students—PN, RN, BSN, MSN, and DNP. Her experience as a Clinical Practice and Educational Specialist at Children’s Hospital of the Kings Daughters was instrumental in developing her approach to lifelong nursing education. As an adjunct professor at ECPI University, Amy continues to inspire as she leads the way in developing learning communities for nurses at all stages of their career. Aniko brings a unique perspective to the Project Nightingale team, having worked for over 25 years in various nursing roles including staff nurse, hospital nurse educator, adjunct instructor and nursing quality manager. Her international education experiences in nursing informs her views on nursing assessment programs and preparation, particularly for non-traditional nursing candidates. In her current role as a Coordinator of Clinical Nursing, Aniko supervises, mentors and provides professional development to over 60 clinical adjunct faculty who provide nursing education in a clinical setting to over 800 nursing students. Aniko is experienced in developing orientation programs for new nurses, creating continuing educational offerings for professional development, and mentoring nurses in quality improvement and evidence-based practice. Aniko is the embodiment of Project Nightingale’s lifelong learning model of nursing preparation and continuing education. For the past three decades, Dawna has been active as a nursing education specialist. She is responsible for facilitating the implementation of the first clinical documentation system (ProTouchTM) utilizing touch-screen technology, at a Level I Trauma Center in Pittsburgh, PA. She also was one of the first instructors for a newly designed evening-weekend school of nursing diploma program in the city of Pittsburgh and served as an instructor for a community nursing education associate degree program. Dawna’s experience in establishing credentialing for organizations include contact hour approval for courses and programs through the Tennessee Nurse’s Association, Colorado Nurse’s Association, and the American Nurses Credentialing Center (ANCC). She served as the Director of Nursing Education for an online continuing education company with the focus on regulatory (The Joint Commission, DNV) and federal (HIPAA, HITECT) expectations for practicing nurses and served as the Clinical Director and Lead Nurse Planner for ANCC program accreditation. Elke is a practicing midwife and has recently returned to her home state of North Carolina to guide the establishment of a certified midwife practice at Novant Health. Previously, she was an instructor at the Yale School of Nursing Midwifery Faculty Practice, a teaching practice for the schools’ midwifery students. Elke believes the nursing values of patient advocacy, clear, accurate communication from providers and informed, active participation from patients are increasingly essential in the modern health care environment. This makes her passionate about teaching and creating educational materials for both patients and beginning clinicians, a core tenent of Project Nightingale. Melissa has an extensive background in nursing education, from her tenure as an Associate Professor at Greenville Technical College to, more recently, working to help future nurses pass the NCLEX at Kaplan University. Her work with the Advanced Education Nursing Traineeship Program run by the U.S. Department of Health Resources and Services Administration has been instrumental in increasing the number of advanced education nurses trained to practice as primary care providers and addressing the shortage of nurse faculty. With a dual Masters degree in Family Practice and Nursing Education, and a PhD in Public Health: Community Services, she is a testament to scholarship in the nursing profession. Melissa’s active involvement in numerous professional organizations, and her commitment to outreach, is the epitome of Project Nightingale’s model of providing learning resources for nurses at all stages of their career. Missy has been educating nurses at all stages of their career for over a decade. From her early days as a unit-based educator at Orlando Regional Medical Center to her current position as Nursing Instructor at Florida Southern College, Missy brings a depth of knowledge and insight into teaching nursing fundamentals, health assessment, and clinical reasoning. Her experience with both Kaplan and ATI Nursing Education NCLEX preparation programs has given her a unique perspective on what works and what doesn’t, leading to the development of Project Nightingale’s proprietary Using Clinical Reasoning To Pass The NCLEX approach to text preparation and success. Nelah began her nursing career over 20 years ago, garnering her extensive clinical experience in the areas of medical-surgical, oncology, and hematology. She is well versed in pharmacovigilance, focusing on the safety of oncology drugs, including sending reports to regulatory agencies and contributing to the creation and updating of drug labels. Nelah's nursing education and writing experience includes developing instructional and professional development materials for fellow nurses, course curriculum for BSN and LPN programs, including assessment banks, writing and editing nursing literature for notable medical publishers, including Elsevier, Wolters Kluwer Health, and Pearson. Her passion for educating and mentoring nursing students and fellow nurses hail her as one of the enduring heartbeats of Project Nightingale. Shante is a nurse and a nurse educator, having taught at the College of Nursing at ECPI University since 2011. Her clinical and educator experience in pediatrics, psychiatric nursing, neurosurgery, medical-surgical, surgical, management and acute-care gives her a unique perspective on a broad range of nursing specialties. Shante’s expertise lies in identifying those ‘teachable moments’ that inspire students and help them develop a passion for nursing. Both on the job and in the classroom, Shante is a catalyst in developing professional learning communities. Sharon has over 20 years of experience in nursing and nursing education. For the last six years she has been a nursing instructor at SUNY Orange, providing clinical teaching, which forms the core of undergraduate nursing education. As a Nursing Director, Sharon has unique insight into the development of soft skills through nursing education, and continuing education. She is ANCC-certified in Nursing Professional Development, and was instrumental securing Magnet® status for Orange Regional Medical Center through the development of Magnet® Exemplars. Sharon’s unparalleled experience has been instrumental in shaping Project Nightingale’s holistic approach to integrating the development of soft skills into all of our learning resources. Lacy has a deep passion for creating educational materials and scripts for children's stories. She has worked for a number of well-known publishing companies and development houses, creating content for a variety of educational platforms, including test banks related to the CCSS, as well as higher education medical and scientific content lessons. Lacy is deadline-oriented, takes pride in her work and delivers superior quality work that often exceeds expectations. Lacy's highly intuitive and out-of-the-box approach to product innovation will ensure that Lifelong.Media's products are always engaging to our younger audiences. Danielle is an accomplished writer, award-winning playwright, professional actor, and Kennedy Center-trained teaching artist. She combines a relentlessly creative approach with an equally focused emphasis on practical problem solving. As a touring actor, Danielle has performed for thousands of young people across the United States and is the author of six plays for young audiences. Her writing background includes generating content and marketing copy for advertising agencies, small businesses, and national organizations. Her extensive experience in the K-12 market consists of developing study guides by connecting creative activity with curriculum standards. Danielle's expertise, creativity and enthusiasm will contribute great value to Lifelong.Media's learning collections. Melissa is a long-time Edu-Tech Geek, writer, and consultant. Over the years, she has taught in a variety of classrooms, including at a children's museum, in middle and high schools, at colleges, and for corporate education programs. She specializes in Train-the-Trainer and teacher education, as well as in creative classroom methodologies. She has extensive experience in e-Learning, and enjoys knowing that she has helped thousands of individuals worldwide become more knowledgeable in their fields through the online courses she has helped to create. In addition, she has been a writer and editor for more than 20 years, and has provided consulting services for a wide variety of public and private institutions, including several exclusive clients. Her passions include ensuring the highest standards of quality (quality review/quality assurance) on every project in which she's involved, and most prefers projects that allow her to "be of service for the betterment of our world." Shirley's passions and expertise lie at the intersection of education, preventive healthcare, and social justice. 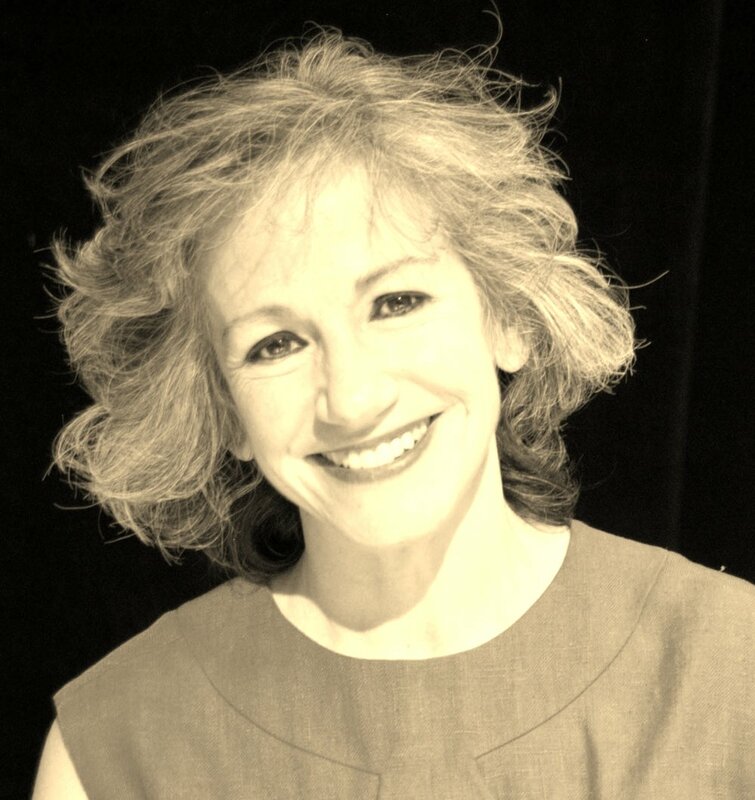 With extensive experience in both the print and digital platforms, Shirley holds a wealth of experience in developing content and strategies for K-12 learning that support reflective practice in the classroom, and in the creation of asynchronous online and print professional development courses for K-12 teachers. Having developed content for several major educational publishers, schools and government agencies, she is well-versed in aligning classroom content to various national standards. Shirley has written courses on supporting the socio-emotional needs of students and how to integrate 21st century life and career skills into instruction to support digital initiatives. The art of cinematography has been William Huang’s primary passion and interest for his entire life. He has spent years experimenting with composition and lighting, and is continuously improving his skills. Whenever he undertakes a film project, William fully immerses himself in the story and delivers superior, quality work. His natural talent in film making, matched with his curiosity and willingness to try new things, has allowed him to win numerous film festivals, such as the Indie Grits 48 Hour Blitz, Movell Film Festival, and 48 Hour Film Project in Charlotte, NC. He is extremely talented, motivated, and hardworking.